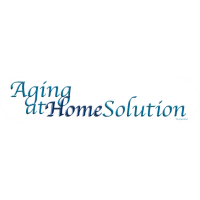 Local Aging at Home Solution owner earns Nationally Recognized Dementia Educator, Teepa Snow, Positive Approach to CareÔ (PAC) Trainer Certification. Dementia is a progressive brain disease that is projected to affect 13.5 million Americans and 1.2 million Canadians by mid-century. Today, over 5 million Americans are living with the most common form of dementia, Alzheimer’s disease, including an estimated 200,000 under the age of 65. By 2050, up to 16 million will have the disease. Characterized by memory loss and a cognitive decline that interferes with daily life, dementia progressively weakens a person's thought processing ability, ultimately causing drastic changes in mood, memory, and behavior. Family members caring for a spouse, parent, or other loved one with dementia, are at high risk for depression and anxiety, making it difficult or impossible to care for the person affected by dementia. You know the diagnosis, now what do you do? Nationally recognized dementia educator and trainer, Teepa Snow, MS, OTR/L, FAOTA has helped thousands of people by sharing her dementia care philosophy and caregiving techniques. Her training program and book are reflective of her education, work experience, medical research, and first hand caregiving experiences. In addition to her work as an Occupational Therapist and 30 years of experience in Geriatrics, Teepa served as the Director of Education and Lead Trainer for the Eastern N.C. Chapter of the Alzheimer’s Association, and as a clinical associate professor at UNC’s School of Medicine, Program on Aging. She is an advocate for those living with dementia and has made it her personal mission to help families and professionals better understand how it feels to be living with such challenges and change. Teepa’s teaching style integrates facts about the brain and what happens to someone when doing, thinking, reasoning or processing becomes difficult. Her teaching style is unique, entertaining, and energetic. She is a sought after speaker for professional organizations across the United States, Canada, and Australia. Amy Keller owner of Aging at Home Solution, Easton, MD recently earned her Positive Approach to CareÔ (PAC) Trainer Certification. She has demonstrated the ability to train others in Teepa Snow's Positive Approach to CareÔ philosophy...teaching awareness, knowledge, and skill development in a classroom, community, or support group setting. This experiential and interactive course provides dementia related awareness and knowledge, an in-depth look into various learning styles, and facilitation techniques that engage learners. Certification requirements include 6 hours of online training, 16 hours classroom training, and post training follow up. All of Aging at Home Solution support staff and Care-Partners will be trained by Amy and will receive a Certificate of Attendance along with Continuing Education Units (CEUs) credit. Teepa’s Positive Approach to CareÔ philosophy and care partnering techniques serve as the foundation for all PAC Dementia Certifications. Each certification category includes instruction in PAC philosophy, foundational knowledge and basic care partnering skills including Positive Physical ApproachÔ and Hand Under HandÔ.